His international collaborations as dean of the College of Art & Design include exchange partnerships with universities in Europe, China, the Middle East and the Caribbean. During his tenure, the College has seen significant technological advances with the additions of state of the art digital modeling and fabrication facilities. Tsolakis is also responsible for establishing the Doctor of Design in Cultural Preservation program. This advanced multidisciplinary degree gives practicing design professionals the opportunity to blend interests in design and the art for scholarship and research to expand their professional capacities into new, emerging, and related fields. Dr, MA in Architecture, PhD in Architecture and Urban Planning; senior lecturer. Head of Chair of urbanism UL FA, Head of management board UL FA, member of Chamber UL FA. Leading process of accreditation – urbanism study program, 2010–2012 (Bachelor and Master), re-accreditation of architecture (Unified Master) study program, 2012–2013.Research experience: spatial and landscape planning, planning of small settlements, ruralism and rural architecture, regulatory plans for the regulation of non-urban settlements, evolutionary constants of a settlement culture undergoing renovation, with particular reference to the coastal region, models for the revitalisation of degraded landscape areas, analysis of trends of spatial development. EU projects/Programmes: Sustainable settlement models and typologies for trans-border territories (2004); ALPTER – Terraced landscapes of the alpine arc, INTERREG III B Alpine Space (2005–2006); Cultura 2000 Virtual museum of the European Transhumance (2006–2007); Competence Centre – Sustainable and Innovative Construction (2010-13); ESPON-Train (2012–2013); Restructuring of Study Programme in Architecture to Long-cycle Integrated Master in line with EU standards, Tempus, (2012–2015). Organised more than 30 architectural and urbanistic workshops (presentations of the work and exhibitions) for different local communities in Slovenia – population of the students work on the local level. Organised International conferences of Spatial Planning development and Urbanism: Smart urbanism 2012, 2013, 2014; Symposium Men and space; Theory and critic in Architecture: 60 architectural reviews in Europe, Member of different national and international scientific and art committees. Active in professional work in domain of urban planning and design. Participated in many national competitions, with first awards as “Urban design of the city center Ravnena Koroškem, 2009”. Architect, Ph.D., Associate Professor of Architectural and Urban Design at Politecnico di Bari, Italy. She graduated in Rome, “La Sapienza” in 1990. Since 1997 she is a teacher and researcher at the Degree Course in Architecture at the Politecnico di Bari, in the Laboratories of Architectural and Urban Design of the Dipartimento di Scienze dell’Ingegneria Civile e dell’Architettura (DICAR). 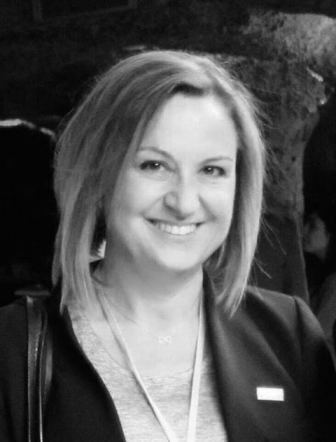 She is the coordinator of the Ph.D. course “Architecture: innovation and heritage” of the Argonauti consortium between Politecnico di Bari and Università degli Studi Roma Tre. From 2011 to 2013 she has been visiting the professor in the Doctoral School in Architecture and Urbanism at the Polytechnic of Tirana. She is a member of the Research Group “Urban Form Grammars” (UFG) at Politecnico di Bari. Since 2004, she is the coordinator of LLP/Erasmus and Erasmus+ Programmes and rector’s delegate for internationalization of the Politecnico’s research. 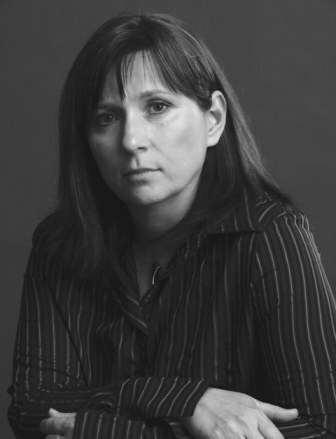 Her research includes architectural studies on Mediterranean areas, especially those in the South of Italy and the Balkans, disseminated in numerous publications, meetings, conferences, lectures, and exhibitions. The main topics are: recognition, enhancement and recovery of historical, anthropic and natural landscapes; the knowledge and renovation of architectural and urban heritage, in particular the modern Italian architecture; the conversion of Brownfield sites, refurbishment of industrial archaeology and recovery of disused productive areas; the enhancement of archaeological sites and architecture for exposition. Graduated in Architecture and Urban Design at the University of Tirana in 1990. He received a ‘Masters’ degree at Erasmus University and IHS-Rotterdam Holland in 1996, and later in 2007 upon successful completion of his Ph.D., he was awarded the title ‘Doctor of Sciences’, from the Polytechnic University of Tirana, Albania. Dr. Aliaj has extensive academic experience at the Polytechnic University, University of Fine Arts, University of Tirana, and at POLIS University in Tirana, not mentioning international exposure. He has a solid experience of 15 years with the civil society. He is the co-founder and former Executive Director of Co-PLAN, Institute for Habitat Development (1995-2005). 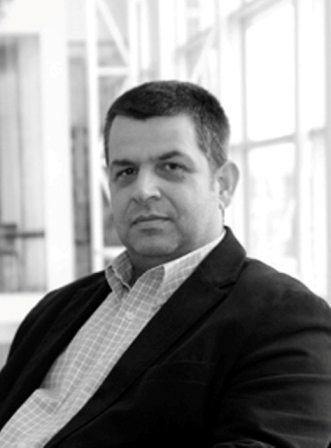 During 2000-2003 he was General Secretary of the Albanian Association of Architects, and at present time is one of the initiators of the AUA, the Albanian Union of Architects. Professional qualifications comprise training and research experiences in Denmark, Italy, Norway, Holland, USA, Germany, Kosovo, Egypt, Tanzania, Ethiopia, Peru, etc. In addition, he has solid consultancy works in Albania and Western Balkans countries. He is the author of several professional and academic publications in Albanian and English languages. He has good experience as a trainer in Albania and Kosovo and has held many international lectures and presentations. Dr. Aliaj has also a solid professional practice as an architect and urban planner starting from grassroots initiatives in community level, up to local and national governance, as well as in academic and research institutions. Since 1998 to nowadays he has been working also with international bodies and institutions, such as World Bank, UN, UNDP, FAO, USAID, GTZ, EU, SOROS, and several diplomatic missions accredited in Tirana.The initiator of participatory projects in the field of urban planning, environmental management and regional development; including housing, infrastructure, formalization of the economy, good governance and decentralization, as well as higher education. Former advisor to the Prime Minister of Albania (2005-2007); ‘Citizen of Honor’ in Kamza Municipality; an elected member of the Tirana Municipal Council since 2009. At present time he is the Rector of POLIS University. 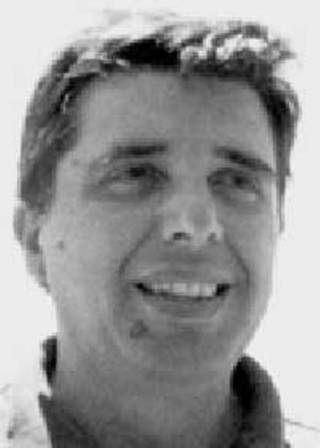 Architect (1991), Ph.D. in Rilievo e Rappresentazione del Costruito (1995), Carlo Bianchini is Full Professor at “Sapienza” – University of Rome, Department of History, Representation and Restoration of Architecture (DSDRA) of which is Director since November 2016. 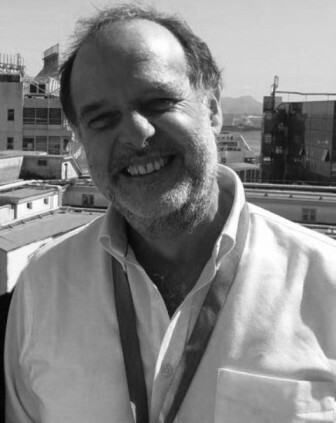 He teaches Architectural Survey and Descriptive Geometry at the Faculty of Architecture, and has been involved in several national research projects (COFIN 2002, FIRB 2003, PRIN 2004 and 2007) and EU funded projects (UCH2 – Euromed Heritage 2 Programme, HECDP – Tempus 2003, ATHENA – Euromed Heritage IV UE Program) often being author and scientific responsible. Author of more than 80 scientific works his research main interests focuses on Cultural Heritage (tangible, intangible), on Survey and Modeling and, lately on Virtual Museums and BIM. He has been participating as an invited speaker in several conferences in Italy and abroad often chairing specific sessions (CAA 2009 – USA / CAA 2010 – Spain / CAA 2014 Paris /CCA 2016 Oslo) and as keynote speaker at 2007 Leica Geosystems Worldwide HDS User Conference (USA). Carlo Bianchini is also a member of some cultural and scientific associations: Herimed (amongst the founders he is a member of its Steering Committee), ASSIRCO (deputy president since 2011) and Unione Italiana Disegno – UID. Derya Oktay (BArch, Gazi Univ / MSc, Middle East Technical Univ / PG DipUD, Oxford Brookes Univ / PhD, Yildiz Technical Univ & Oxford Brookes Univ) is currently a Professor of Architecture and Urban Design at the Department of Architecture and the Founding Dean at the Faculty of Architecture at Ondokuz Mayıs University, Turkey. She was the Founding Director of the MS in Urban Design Programme at Eastern Mediterranean University, North Cyprus, and the Founding Director of the Urban Research& Development Center (URDC) at the same institution (1999-2013). In addition, she has served as the President of the Society for International Development (SID) Lefkosa (Nicosia) Chapter in Cyprus. Her areas of research and teaching are architectural design in urban context, sustainable architecture/urbanism, cultural-spatial aspects of housing environments, urban identity, public urban spaces and quality of urban life. She was a team member in various urban/architectural design projects and was a Visiting Fellow in such universities as UC Berkeley, Politecnico di Milano, University of Michigan, and Oxford Brookes University. She has carried out research funded by the EU, USAID, TUBITAK, and EMU. She has authored more than 100 publications including books, chapters in refereed books, refereed journal articles, conference papers and popular press articles, and developed and offered courses. She is on the editorial board of various prestigious journals, and the champion Editor of the theme dissues of ICE Urban Design and Planning on “Quality of Life in Cities” (2009) and “Urban Identity in the Era of Globalisation” (Part One, 2016; Part Two, 2017). She also spoke in various international and national platforms as an invited speaker. 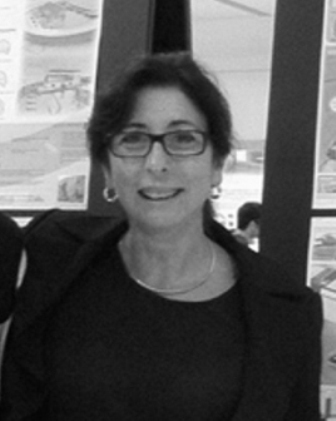 Elisabetta Rosina, associate professor at Politecnico di Milano, is competent in design, planning and execution of non destructive investigations and degradation surveys on buildings, for preservation and maintenance. Her major competencies are in preservation technologies, specifically for historic buildings, performances and degradation of building materials, diagnostic methodologies and techniques such infrared tomography, gravimetric tests, micro-climatic monitoring, psychometric maps, video-scope, iron/steel structures search inside masonry and instrumental surveys. She is the scientific responsible for the Experimental mobile laboratory of ABC Dept. Polytechnic of Milan. She has been consultant and project manager of: Investigation for the conservation planning and maintenance; sustainability strategies for supporting analysis and investigation; know how transfer to enterprise, professional societies, public administration staffs. 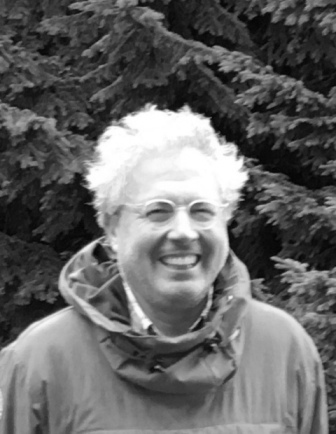 Francesco Collotti (Milano, 1960) is a full professor at DIDA of the Florence University, promoting not only the research on architectural identities but also involved in the international programmes of scientific and cultural cross-fertilization supported by Unifi. His activity is a link between research, professional work and teaching (all together: learning). Engaged for a sustainable, site-specific and responsible contemporary architecture, thinking that we are what we’re doing: and we do know that this work is quite far from the fashionable, global, glamorous, unsustainable and a bit ridiculous star system architect’s market. F. Collotti builds at the moment in Italy, Jordan, Oman, Turkey, and Germany. The research and the pilot-projects are particularly focusing the Mediterranean area with selected case-studies from Balkans to Northern Africa, from The Alps to Middle and Near East. FC promoted exhibitions, symposiums, and conferences related to the didactics inside the Faculty and outside. Contributor review Domus (1985-1995), Fondazione Masieri in Venice and in the editorial staff of Phalaris (1989-1994). A teacher at International Design Seminars “Naples, architecture and city” (Università degli Studi di Napoli, DOMUS, D.A.M. Frankfurt). Since 1997 member of the Scientific Committee of the Swiss reviews Rivista tecnica and (1998) Archi. His articles and essays are published in the most important international architectural reviews (Werk bauen+wohnen, Domus, Casabella, Archi). Member of the editorial staff of Firenze-architettura edited by the DIDA Dpt. of the Florence University. 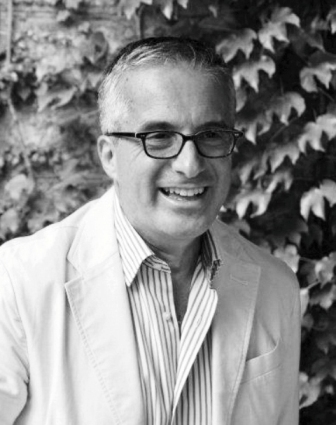 Visiting professor ETH Zürich in architectural theory – Institut GTA (1994-1996). Since 1998 to 2001 professor in Theories of architectural contemporary at Architectural Design Dpt. of the Florence University. 2000/2001 visiting professor for Entwerfen und Städtebau, Faculty of architecture, Universität Dortmund. Professor at SSEAU Neaples and at Politecnico di Milano-Facoltà di Architettura Civile for Architectural Composition. Visiting Professor in China at Jinan University 2012/2014. Professor also in the 2nd level master promoted by Università Federico II in Naples and by the review DOMUS focused on the design for the historical heritage in the Mediterranean town. Full professor at EMADU Ecole Euromed d’Architecture, de Design et d’Urbanisme/Euromed University of Fès – Université Euroméditerranéenne de Fès. German scientist, architect BDA, city planner, tourism expert and expert for urban waterfront planning and marina design, nautical tourism and amphibic/floating structures. Since 1993 full Professor at the University of Anhalt, Abbot Bernburg, Germany. Chairman of the research group of nautical tourism. He has been Visiting Professor at the Politecnico di Milano, the University of Pescara, and University La Sapienza, Roma. He authored different publication like “TourismusArchitektur München 2017”; “Neue Wege für künftigen Hochwasserschutz, in: Stadt und Gemeinde, Heft 7/8 2013 Bonn 2013”; “Stadt am Wasser, Neue Chancen für Kommunen und Tourismus, Frankfurt/M. 2005”; “Wassertourismus, Handbuch und Leitfaden zur Entwicklung wassertouristischer Angebote, Gerlingen 20112″; ” StadtWasser Wasserkonzepte für die Stadtgestaltung, Stuttgart 2010″. Professor Haass is President and CEO of DEUTSCHE MARINA CONSULT, Hannover/Germany, Expert and Vicepresident of Internationale Bootsexpertene.V, Chair of PIANC WG 183. Research interests: water-oriented urban development, Tourism architecture Urban Design. 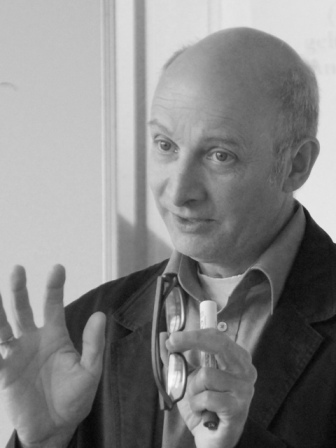 Jean-Jacques Terrin is an architect & urban planner, a doctor in architecture. After important professional and academic activities, he is now professor emeritus and collaborates as a researcher in several laboratories in France, Canada, and Albania. 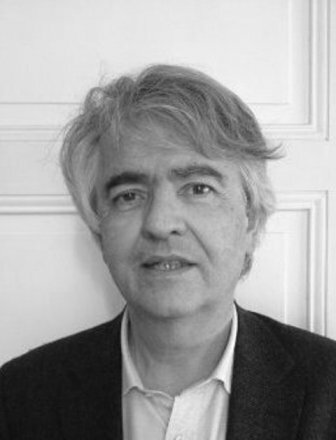 Jean-Jacques Terrin undertakes research and publishes books on the changing design practices and their relations with sustainability. He is associated researcher to Lab’Urba, University Paris-Est and to LéaV, School of Architecture at Versailles; associate professor at the Department of Architecture of the Polytechnic University of Tirana; thematic expert for the EU program Urbact. He collaborates regularly with the Research Group IF, University of Montreal. His activities in the frame of European projects give him a good knowledge of issues and making of the European cities. 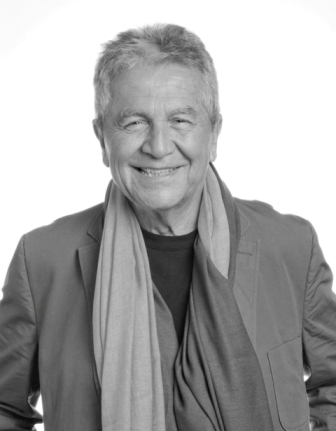 Lorenzo Pignatti Morano is Full Professor of Architectural Design at the Dipartimento di Architettura – University “G. d’Annunzio” in Pescara (Italy) and Associate Professor (Adjunct) at the Cambridge School of Architecture of the University of Waterloo (Canada). In Pescara he is Academic Coordinator of Studies, Responsible of the International Relations and Erasmus Coordinator for the Dipartimento di Architettura. At Waterloo he is Director of the Rome Programme that the University of Waterloo operates annually in Italy. He has been involved in various international academic exchanges and research projects between Italy, Canada and East-Adriatic countries, where he has promoted a large number of research projects, cultural initiatives and exhibitions. Most of this work has been published in monographs and articles in various magazines, including Domus, Piano Progetto Città and EcoWebTown. More recently he has been working in developing joint research projects within the Euro-Adriatic Region together with other Universities in Italy, Slovenia, Croatia, Albania, Bosnia-Herzegovina and Greece. All these experiences are related to the definition of new urban design strategies for vacant sites, where cultural programs could be effective in their regeneration. Some of this work has been published in “Transforming the Landscape: Il progetto di trasformazione nei luoghi della produzione” (Gangemi, 2011), “Projects Along the Coast Line: Adriatic Identities” (List Lab, 2014) and ”Sguardi Incrociati/Crossing Sightlines Atlas of the Adriatic” (Aracne 2017). He intends to further investigate the development of modern architecture in the Balkans. His architectural practice is centered on the role of public space within urban contexts. He has developed several projects for public spaces, including the design and construction of Piazza San Cosimato in the old center of Rome. Manfredo di Robilant is an architect. He has been researching associate to the 14th Venice Architecture Biennale and visiting scholar at the CCA Montréal after completing a post-doc at the Turin Polytechnic University from which he holds a Ph.D. in the history of modern architecture. Among his recent publications, the books dedicated to ceiling and window (Marsilio and Rizzoli International, 2014) of the elements of architecture research project for the 14th Venice architecture Biennale (with Rem Koolhaas, AMO, Harvard GSD). 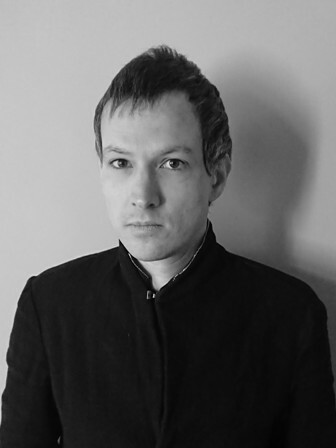 In 2015-2016 he worked as a teacher and an advisor for the school’s cultural policies at the Domus Academy, Milan, and he is currently an assistant professor of architectural design at the Turin Polytechnic University. In 2012 he founded with Giovanni Durbiano and Alessandro Armando the office DAR. More than 250 International Patents filed in Hi-Tech industry, numerous Publications within famous International Physics reviews (APL, EL, JAP, Magnetic TL)…), former expert for selection EU projects during Research Lab career at LCR Orsay, and Innovation officer at Multinational companies for 13 years: this is in a few words 25 years of Industrial career. Then Professor MEUNIER, has been assigned as Professor of Physics and Industrial Research Projects at ESTP-Paris (France) in 2007. Ever since, Pr. Meunier fertilizes theoretical knowledge with Field Applications in the Building, Civil engineering and Architecture following students at Master levels. He is part of the ESTP team which has been nurturing the cooperation with UPT for the last five years with the support of French embassy at Tirana. His experience in the highly competitive Industry crossed with Academic knowledge position him as an actor for innovative turn-key solution projects in Building Industry among Urbanism and Architecture. Since 1999 he is Research Doctor in “Relief and Representation of the Built”, 2nd cycle. Since 1982 he has been honored with honors in Architecture at the University of Naples “Federico II” with a thesis titled “The Design of the Town Hall on the Chiaia Riviera, Naples” (Rapporteur Prof. Arch. Nicola Pagliara). In addition to monographic books, he published articles and critical essays on “Domus”, “AU”, “Stadt Bauwelt”, “Building Design”. 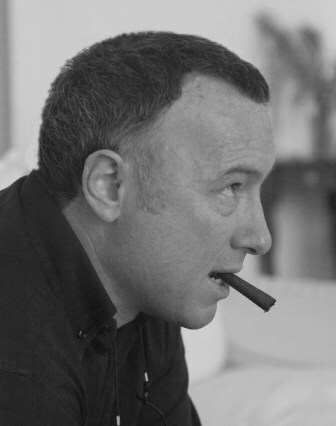 He has collaborated, from 1985 to 1995, with the International Architecture magazine “Domus”. He deals with architectural and urban design and survey in the perspective of a critical conjunction between past and contemporary for the government of the modification of the natural and built environment. Paolo Di Nardo has a strong university activity at the Faculty of Architecture in Florence where he is a professor of the Architecture Laboratory II. He is a Contract Professor at Kent University, a contract professor of History of Italian Design at Roger William University. He was Professor of Urban Morphology at Stanford University. He is also Editorial Manager of the four-monthly magazine AND “Rivista di architetture, città e architetti” with editorial staff in Florence and edited by the publishing house of DNA, as well as manager and director of workshops on architectural and environmental sustainability. 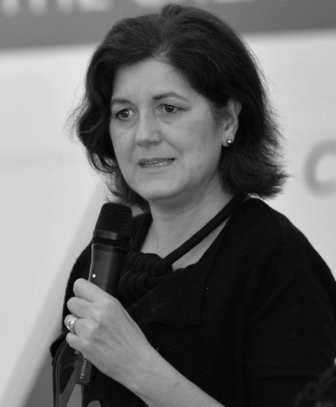 Violeta Nushi is a professor of architecture-building construction; Coordinator of Master Professional for Energy Efficiency; and vice-dean of the Faculty of Civil Engineering and Architecture at the University of Pristina. She earned (1989) an Architecture Engineering Degree and Magister of Science post-Degree (2004) from University of Pristina. Nushi earned (2007) a Doctor of Science Degree from Polytechnic University, Faculty of Architecture, Department of Architecture, Tirana, Albania with the thesis with the thesis “Achieving Sustainability in Space with Spatial Structures”. In a field of Contemporary Building Techniques and Building Energy Efficacy Performance she is a professor of in the Faculty of Applied Sciences at the State University, Tetovo, Macedonia(2008-update); an Invited professor for Spring School 2016 at Fachhochschule Dortmund Germany (2016); Guest professor at Slovak University of Technology in Bratislava, Slovakia; An Urban-architectural planner in ENING, Kosovo (1989-1999); A Construction Engineer in OSCE, Kosovo and Austria; and other professional institutions in Kosovo. 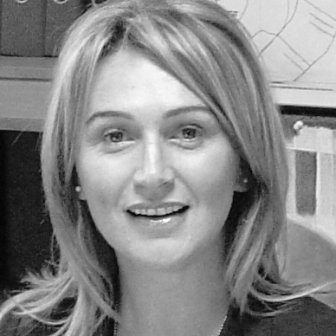 She is a scientific member EU Scientific Projects, in: COST TU0901; COST TU0905; COST TU1403; TEMPUS Project DAPEEWB; International Association of Life-Cycle of Civil Engineering (IALCCE); and member of Kosovo’s Scientific Council. She published a monography, numerous scientific research papers and participated in many scientific and professional conferences.